Many contaminants in the California Bay-Delta exceed regulatory standards, impact aquatic species, and potentially affect human health. 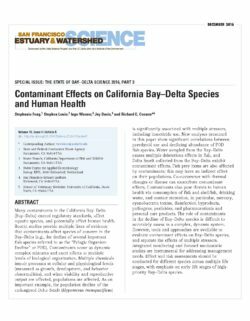 Recent studies provide evidence that contaminants impact species of concern in the Bay-Delta (e.g., the decline of several important fish species referred to as the “Pelagic Organism Decline”). Multiple chemicals impair processes at cellular and physiological levels (measured as growth, development, and behavior abnormalities), ultimately affecting populations. As an important example, the population decline of the endangered delta smelt (Hypomesus transpacificus) is significantly associated with multiple stressors, including insecticide use. New analyses presented in this paper show significant correlations between pyrethroid (an insecticide) use and declining abundance of POD fish species. Water sampled from the Bay-Delta causes multiple harmful effects in fish and delta smelt. Fish prey items are also impacted by contaminants; this may have an indirect effect on their populations. Co-occurrence with thermal changes or disease can worsen contaminant effects. Contaminants also pose threats to human health via consumption of fish, drinking water, and contact recreation, in particular, mercury, toxins, disinfection byproducts, pesticides, pharmaceuticals, and personal care products. The role of contaminants in the decline of Bay-Delta species is difficult to accurately assess in a complex, dynamic system. However, tools and approaches are available to evaluate contaminant impacts on Bay-Delta species, and separate the effects of multiple stressors. Integrated monitoring and focused mechanistic studies are instrumental for addressing management needs. Impact and risk assessments should be conducted for different species across multiple life stages, with emphasis on early life stages of high-priority Bay-Delta species. Congeners of dioxins and furans have been found in the San Francisco Bay in several species of fish sometimes used for human consumption, causing the State of California to issue an interim fish consumption advisory. 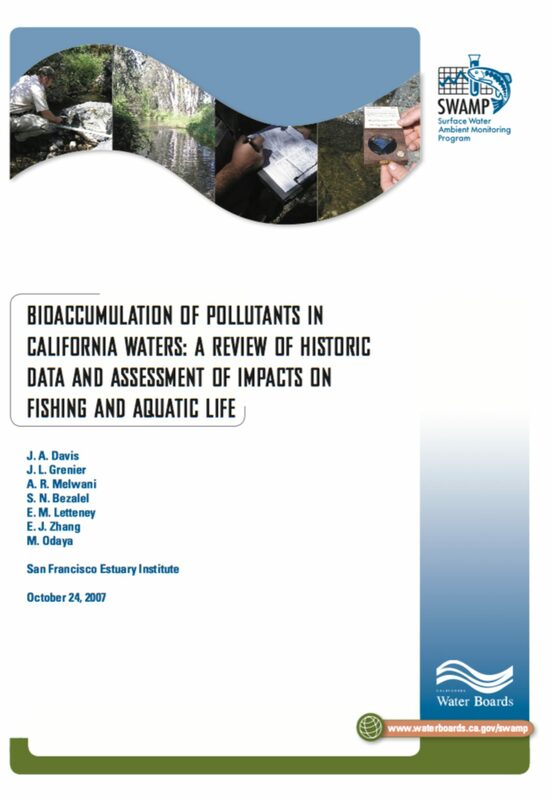 This fish consumption advisory has been used by the US Environmental Protection Agency and the State of California as a basis for placing the Bay on the State’s list of impaired waterways required by the Clean Water Act. As a consequence, water quality-based discharge limits for dioxins are now being placed into NPDES permits for dischargers to the Bay where dioxins or furans have been detected in effluents. The Panel met in Oakland, California, on February 22, 2008, at the San Francisco Estuary Institute. We were joined by representatives of the San Francisco Bay Regional Water Quality Control Board, the US Environmental Protection Agency, BACWA, and others with expertise in the field. Subsequently, we held numerous conference calls and agreed that we would address the questions posed by the Institute in both short- and long-term contexts. For the short term, we agreed upon recommendations that could help alleviate some of the dioxin-related regulatory difficulties faced by municipal wastewater treatment plants. For the long-term, however, we agreed that the problems faced by the dischargers are best addressed by solutions for the dioxin contamination problems in the Bay as a whole. 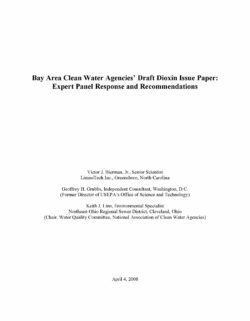 We therefore also agreed to recommend a series of steps towards developing an integrated multi-media strategy for reducing dioxin levels in the San Francisco Bay. The Sacramento-San Joaquin Delta ecosystem comprises many different habitat types, and is home to a large number of species. Thousands of chemical contaminants have been or are being introduced into the Delta. The conceptual model presented here is therefore general in nature, and is intended to provide a framework for more refined models for individual species, habitats and, in particular, contaminants of interest, for example selenium, mercury and pyrethroids. The model consists of three major submodels (Figure 1). 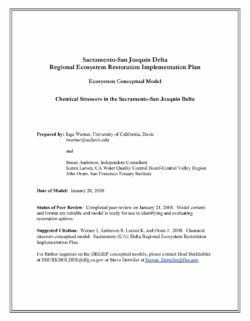 Submodel 1: Exposure assessment which includes fate and transport of contaminants and the co-occurrence of chemicals with Delta organisms; the intermediate outcome of this submodel is “Exposure Concentration”. Submodel 2: Bioavailability of contaminants to Delta organisms; the intermediate outcome of this submodel is “Bioavailable Concentration” or “Dose”. Submodel 3: Toxic effects assessment with the final model outcome “Population Level Effects”. In the following narrative, we provide a description for each submodel, its parameters, and linkages to other models. We discuss the model’s limitations and provide recommendations for its application in management. To illustrate the applicability of the general model outlined in Delta Chemical Stressors conceptual model Werner et al. (2008), we are providing an example of its implementation for a specific group of contaminants, synthetic pyrethroid insecticides. Although numerous different pyrethroids exist, the members of this group share many chemical and toxicological characteristics. The US EPA’s decision to phase out certain uses of organophosphate insecticides because of their potential for causing toxicity in humans has led to their gradual replacement by pyrethroids, a class of synthetic insecticides applied in both urban and agricultural areas. They are applied in urban areas primarily for structural pest control, in agricultural areas on crops such as almonds, alfalfa, cotton, lettuce, pistachios, and peaches, and in the home in pet sprays and shampoos. In 2005, five pyrethroids were among the top 21 agricultural insecticides by acres treated in California: lambdacyhalothrin (rank 7), permethrin (rank 9), esfenvalerate (rank 11), cypermethrin (rank 14) and cyfluthrin (rank 21) (California Department of Pesticide Regulation, Pesticide Use Reporting database: www.cdpr.ca.gov). Both winter storm runoff, as well as irrigation return water may be important routes of transport into aquatic systems. Pyrethroids at toxic concentrations have been detected in the majority of sediment samples collected from water bodies draining agricultural areas in the Central Valley (Weston et al., 2004; California Regional Water Quality Control Board Agricultural Waiver Program, 2007), as well as from urban creeks in the Bay/Delta region (Amweg et al., 2006; Woudneh and Oros, 2006 a, b). Pyrethroid concentrations toxic to aquatic life were detected in water samples from Central Valley agricultural drains and creeks (Central Valley Regional Water Quality Control Board, 2005; Bacey et al., 2005), and tributaries to San Francisco Bay (Woudneh and Oros, 2006 a, b). Aquatic organisms, in particular insects, crustaceans and fish, are highly sensitive to pyrethroid insecticides (Oros and Werner, 2005). Acute toxicity to fish and aquatic invertebrates is generally observed at concentrations below 1 ?g/L, and sublethal effects have been reported at low ng/L concentrations. Although it is difficult to model sublethal responses to toxicants and predict ecotoxicological impact or risk, measures of sublethal effects are likely to be as important, or more important, than the measures of acute or chronic lethal effects to accurately assess the consequences of contaminant exposure. All pyrethroids are potent neurotoxicants (Bradbury and Coats, 1989; Shafer and Meyer, 2004), can inhibit ATPases (Litchfield, 1985), and have immunosuppressive effects (Madsen et al., 1996; Clifford et al., 2005). In addition, these compounds and their breakdown products can disrupt hormone-related functions (Go et al., 1999; Tyler et al., 2000; Perry et al., 2006; Sun et al., 2007). As pyrethroid concentrations in the Delta would be expected to peak during the winter/spring storm season (Werner et al. 2004, 2006), as well as after peak agricultural application in the summer and fall (Weston et al., 2004), early life-stages of important Delta fish species or their prey may be directly exposed to these contaminants. The storm season coincides with the spawning and rearing period of several important fish such as the delta smelt, which spawns from February to June (Moyle, 1976). Juvenile fish depend on planktonic crustaceans, small insect larvae, and mysid shrimp as their major food items (Moyle 1976), which are highly sensitive to pyrethroids. 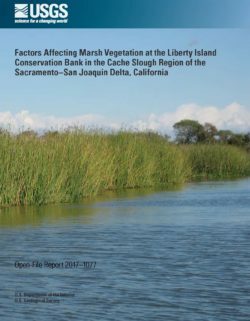 It has been suggested that urban and agricultural pesticide use in the Central Valley and Delta region might play a role in the pelagic organism declines observed in the upper estuary (Oros and Werner, 2005). Numerous water bodies in California are listed under the Clean Water Act as being impaired due to mercury (Hg) contamination. The Surface Water Ambient Monitoring Program (SWAMP), via the Bioaccumulation Oversight Group (BOG), has recently completed statewide surveys of contaminants in sport fish tissue from more than 250 lakes and rivers in California and throughout coastal waters. This effort focused on human health issues but did not include beneficial uses by wildlife. Many piscivorous birds such as grebes, terns, cormorants, and mergansers eat fish smaller than those that were sampled by BOG, and sport fish Hg concentrations are not always indicative of wildlife exposure to Hg; therefore, the BOG surveys could not address whether wildlife were at risk due to Hg-induced reproductive impairment in these lakes. We used western grebes (Aechmophorus occidentalis) and Clark’s grebes (Aechmophorus clarkii) as our index of wildlife exposure to Hg in California lakes. Grebes are widely distributed in lakes throughout California and, as piscivorous waterbirds, are near the top of the food chain in lakes. Additionally, grebes become flightless after they arrive at their summer locations. Thus, grebes are useful representatives for wildlife risk from local, lake-specific contaminant exposure. Grebes also breed at many lakes throughout California, making them susceptible to impaired reproduction due to local Hg contamination. with a history of use by grebes. Using these factors ensured that our results are representative of a broad range of lakes and reservoirs in California and are comparable to prior BOG studies. Does methylmercury pose significant risks to aquatic life in a representative sample of California lakes and reservoirs? Can a correlational approach be applied on a statewide basis to estimate risks to birds? 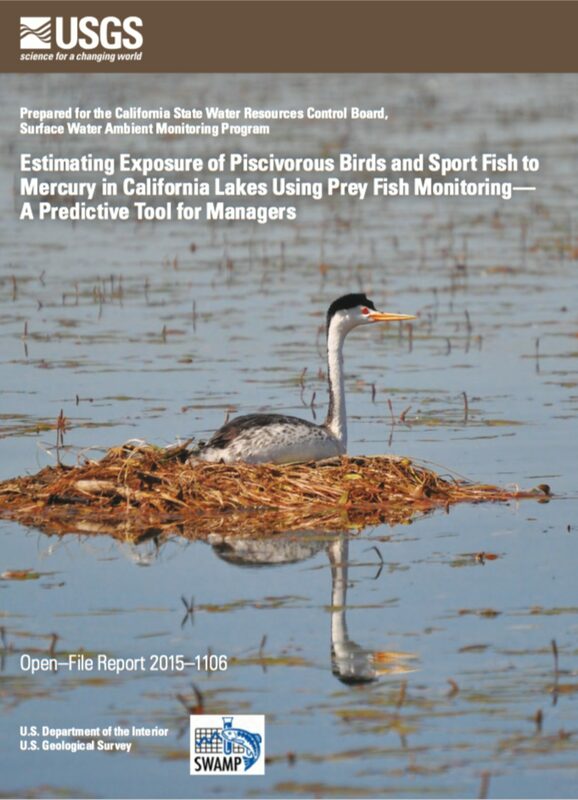 What are appropriate water-quality monitoring requirements to address methylmercury exposure in wildlife? The Liberty Island Conservation Bank (LICB) is a tidal freshwater marsh restored for the purpose of mitigating adverse effects on sensitive fish populations elsewhere in the region. 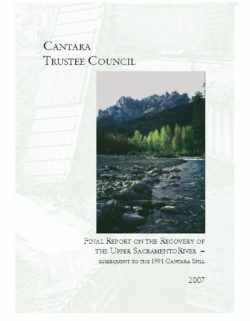 The LICB was completed in 2012 and is in the northern Cache Slough region of the Sacramento–San Joaquin Delta. The wetland vegetation at the LICB is stunted and yellow-green in color (chlorotic) compared to nearby wetlands. A study was done to investigate three potential causes of the stunted and chlorotic vegetation: (1) improper grading of the marsh plain, (2) pesticide contamination from agricultural and urban inputs upstream from the site, (3) nitrogen-deficient soil, or some combination of these. Water samples were collected from channels at five sites, and soil samples were collected from four wetlands, including the LICB, during the summer of 2015. Real-time kinematic global positioning system (RTK-GPS) elevation surveys were completed at the LICB and north Little Holland Tract, a closely situated natural marsh that has similar hydrodynamics as the LICB, but contains healthy marsh vegetation. The results showed no significant differences in carbon or nitrogen content in the surface soils or in pesticides in water among the sites. The elevation survey indicated that the mean elevation of the LICB was about 26 centimeters higher than that of the north Little Holland Tract marsh. Because marsh plain elevation largely determines the hydroperiod of a marsh, these results indicated that the LICB has a hydroperiod that differs from that of neighboring north Little Holland Tract marsh. This difference in hydroperiod contributed to the lower stature and decreased vigor of wetland vegetation at the LICB. Although the LICB cannot be regraded without great expense, it could be possible to reduce the sharp angle of the marsh edge to facilitate deeper and more frequent tidal flooding along the marsh periphery. 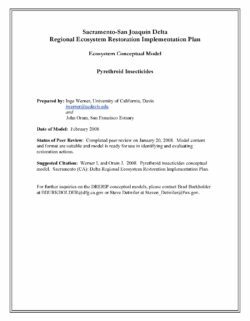 Establishing optimal elevations for restored wetlands is necessary for obtaining the full suite of ecosystem services provided by tidal wetlands. A better system of tidal benchmarks throughout the delta is needed to help restoration practitioners correctly grade the elevation of newly restored wetlands. Significant changes in water quantity and quality are evident across the country. 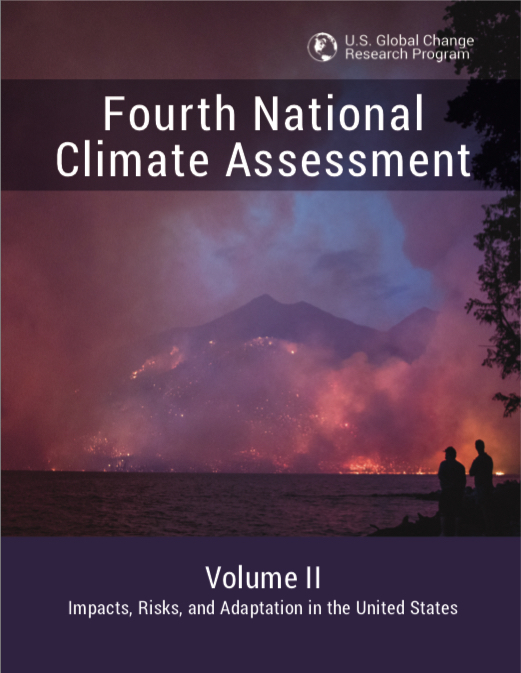 These changes, which are expected to persist, present an ongoing risk to coupled human and natural systems and related ecosystem services. Variable precipitation and rising temperature are intensifying droughts, increasing heavy downpours, and reducing snowpack. Reduced snow-to-rain ratios are leading to significant differences between the timing of water supply and demand. Groundwater depletion is exacerbating drought risk. Surface water quality is declining as water temperature increases and more frequent high-intensity rainfall events mobilize pollutants such as sediments and nutrients. Click here for the text of the full report. 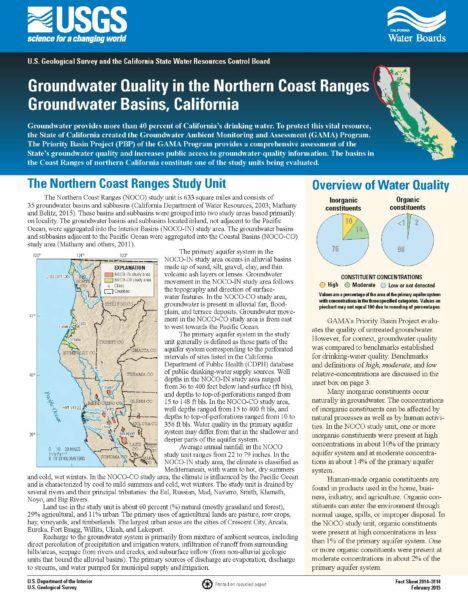 The Northern Coast Ranges (NOCO) study unit is 633 square miles and consists of 35 groundwater basins and subbasins (California Department of Water Resources, 2003; Mathany and Belitz, 2015). These basins and subbasins were grouped into two study areas based primarily on locality. The groundwater basins and subbasins located inland, not adjacent to the Pacific Ocean, were aggregated into the Interior Basins (NOCO-IN) study area. The groundwater basins and subbasins adjacent to the Pacific Ocean were aggregated into the Coastal Basins (NOCO-CO) study area (Mathany and others, 2011). The primary aquifer system in the NOCO-IN study area occurs in alluvial basins made up of sand, silt, gravel, clay, and thin volcanic ash layers or lenses. Groundwater movement in the NOCO-IN study area follows the topography and direction of surface-water features. In the NOCO-CO study area, groundwater is present in alluvial fan, floodplain, and terrace deposits. Groundwater movement in the NOCO-CO study area is from east to west towards the Pacific Ocean. The primary aquifer system in the study unit generally is defined as those parts of the aquifer system corresponding to the perforated intervals of sites listed in the California Department of Public Health (CDPH) database of public drinking-water supply sources. Well depths in the NOCO-IN study area ranged from 36 to 400 feet below land surface (ft bls), and depths to top-of-perforations ranged from 15 to 148 ft bls. In the NOCO-CO study area, well depths ranged from 15 to 400 ft bls, and depths to top-of-perforations ranged from 10 to 356 ft bls. Water quality in the primary aquifer system may differ from that in the shallower and deeper parts of the aquifer system. Average annual rainfall in the NOCO study unit ranges from 22 to 79 inches. In the NOCO-IN study area, the climate is classified as Mediterranean, with warm to hot, dry summers and cold, wet winters. In the NOCO-CO study area, the climate is influenced by the Pacific Ocean and is characterized by cool to mild summers and cold, wet winters. The study unit is drained by several rivers and their principal tributaries: the Eel, Russian, Mad, Navarro, Smith, Klamath, Noyo, and Big Rivers. Land use in the study unit is about 60 percent (%) natural (mostly grassland and forest), 29% agricultural, and 11% urban. The primary uses of agricultural lands are pasture, row crops, hay, vineyards, and timberlands. The largest urban areas are the cities of Crescent City, Arcata, Eureka, Fort Bragg, Willits, Ukiah, and Lakeport. Recharge to the groundwater system is primarily from mixture of ambient sources, including direct percolation of precipitation and irrigation waters, infiltration of runoff from surrounding hills/areas, seepage from rivers and creeks, and subsurface inflow (from non-alluvial geologic units that bound the alluvial basins). The primary sources of discharge are evaporation, discharge to streams, and water pumped for municipal supply and irrigation.